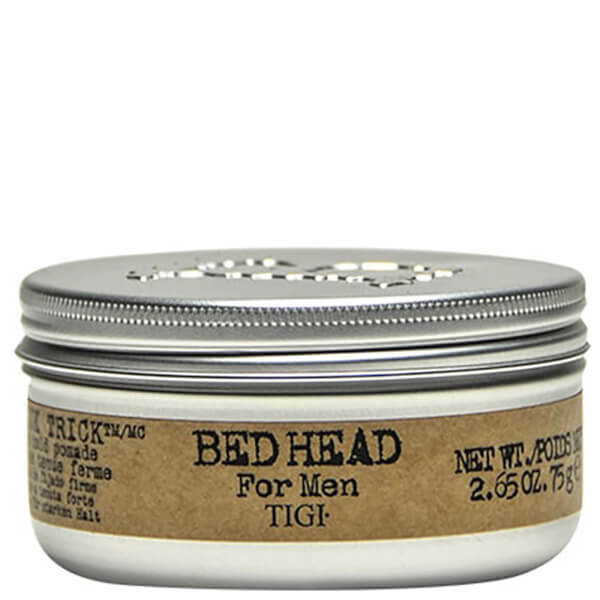 Giving a firm hold without added stiffness, the TIGI Bed Head for Men Slick Trick Pomade offers a high shine finish and long-lasting style for the modern man. Suitable for all hairstyles, the pomade delivers flexible, re-workable hold and added texture without flaking or sticky residue. Mould, sculpt and experiment to create your desired look with definition and humidity resistance. E.N. 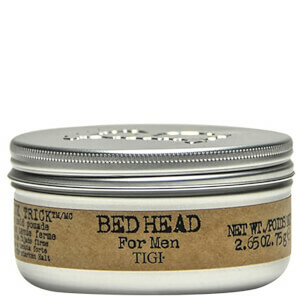 Evenly distribute throughout the hair using fingertips. Style as desired. Water (Aqua) PEG-40 Hydrogenated Castor Oil, Steareth-20, Oleth-10 Phosphate, Ceteareth-25, PPG-5-Ceteth-20, Triethanolamine, Fragrance (Parfum), DMDM Hydantoin, Carbomer, Disodium EDTA, Iodopropynl Butyl Carbomate, Butylphenyl Methylproponial, Citronellol, Geraniol, Hexyl Cinnamal, Limonene, Linalool.